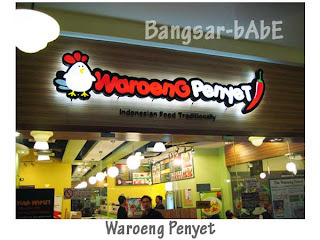 *backdated post rif and I were at The Curve on Monday and decided to try Waroeng Penyet after reading positive reviews from other bloggers. 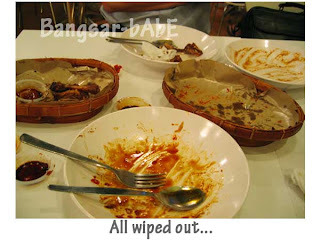 We ordered the ayam penyet, ayam panggang, a serve of rice and gado gado to share. rif asked for the soda gembira (which turned out to be mirinda strawberry with ice cream) while I stuck with coke. 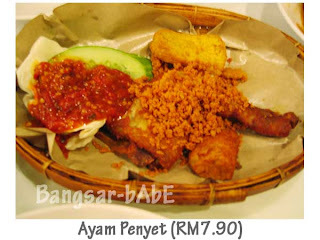 The ayam penyet was REALLY tiny, despite being flattened. So small that it could have passed off as a quail. The chicken, marinated with tumeric had a crispy outer layer which was pretty good but I found the meat very dry. The sambal was quite good. The blend of fresh chilies with a tang was a good compliment to the chicken and rice. The ayam panggang fared better than the ayam penyet but overall, it was nothing fantastic and it was even smaller than the already tiny ayam penyet. Coated in sticky and slightly sweetish black sauce, the chicken was tender and tasted better with rice. 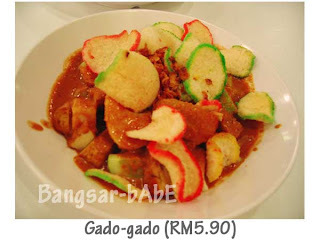 The Gado Gado was not bad. Served with crackers and topped with a generous serving of peanut sauce, the combo of vegetables, tofu, tempe and Melinjau crackers was quite a delight. Dinner came up to RM 31. We were not impressed with the food and found it on the pricey side (considering the puny portions). Verdict: Average tasting, tiny portions and quite expensive. Not something you would “wow” over. 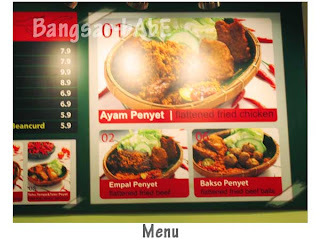 Im half Indonesian ( a Malaysian btw) & I just want to clarify that the reason why the chicken is small because it's 'ayam kampung' & they do it the same way back in Indonesia. That same size. 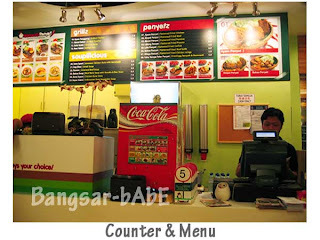 At all restaurants or stalls serving chicken. 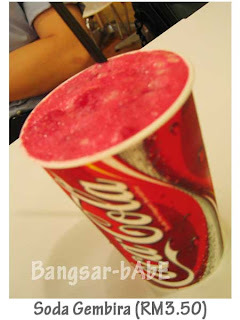 And 'soda gembir'a is actually Ais Krim Soda ( the one you can get at Giant etc) with condensed milk stirred together. It's the best in the world.